We DIY-ers have all been here. It is the weekend, you’re relaxing in front of TV while the laundry load is in. You’re looking forward to getting a tennis game in the afternoon once the laundry is done, when the washer starts beeping, stops working and keeps flashing an error code. You tell yourself that there’s nothing to worry about – you’ll simply feed the error code into Google and come up with diagnostics with the help of a website like appliance-repair-it.com. You put in the error code E30, read through the ‘No Drain Pump’ diagnostics and start to realize that your beautiful Sunday may be no more. If you’re lucky, it is a simple clog and you may be done in 30 min, or you could be stuck for the rest of day, and finally may have to call in the repair guy. Now multiply the scenario about a million fold, and you’ll start to appreciate the complexity of repairing a modern automobile. This article in Popular Mechanics (one of my favorite rags) provides a bit of color. Modern cars are incredibly sophisticated machines emitting just a 10th of a percent of the emissions of their 1965 counterparts. They are combination of sophisticated mechanical design that promotes safety, and reliability while reducing the weight of the vehicle along with a complex electrical system with some of the modern cars such as the Prius running on three independent electrical sources powering 10s or even 100s of devices, with a complex computer brain controlling all critical functions from power generation, transmission, emissions control, safety to comfort and driving dynamics. For an automotive shop to cost effectively, and efficiently troubleshoot that knocking sound, it is no longer sufficient to lean on the experience and OEM manuals, which are likely outdated by the time they’re printed. While there are expensive scanners and electronic guides that automate some of the manual search functions of the past, they are quite inadequate as they simply shorten the time to discovering the various diagnostic paths, but do not provide definitive guidance on the higher probability path to the fix. To take our dishwasher example, they would eliminate the 30 minutes you may spend discovering the error code, typing into Google, scanning through the various articles to arrive at the point where you are now facing 4 different possibilities that range in complexity from less than hour to multiple hours or even days if you have to special order parts. That is simply not good enough. Most current diagnostics tools for all their sophistication implement simple rules based algorithms that take a combination of OBID II diagnostics codes, electronically parsed OEM guides, and manually curated ontologies. Although very useful in generating some basic time savings, they’re only marginally better quality wise than a simple manual search. The OEM guides, and manual ontologies reference a very small data set and are outdated by the time they’re created. You need a system that actively listens to all the millions of repairs happening worldwide, and constantly updates the diagnostics capability, in other words creates Repair Intelligence (TM). Such an engine would take data coming in via structured, unstructured, natural and unnatural language sources, processing it into taxonomies and rules that provide real time insights into trouble codes. It would be connected in real time or near real time to these sources, processing the repair orders, warranty claims, associated diagnostic codes and repair outcomes. For example, such a system could spot that a 2015 Ford 150 that came in with a certain problem description was similar to five other similar repairs conducted prior on other similar vehicles. With that information, mechanics could zero in on the problem almost instantly. It would also serve as useful reference for warranty records and to cross check warranty claims. Can such a system be built, and if so, can it function with adequate accuracy? There is definitive evidence for that. A Palo Alto based company, Predii, has created an effective system for Snap-On diagnostics. 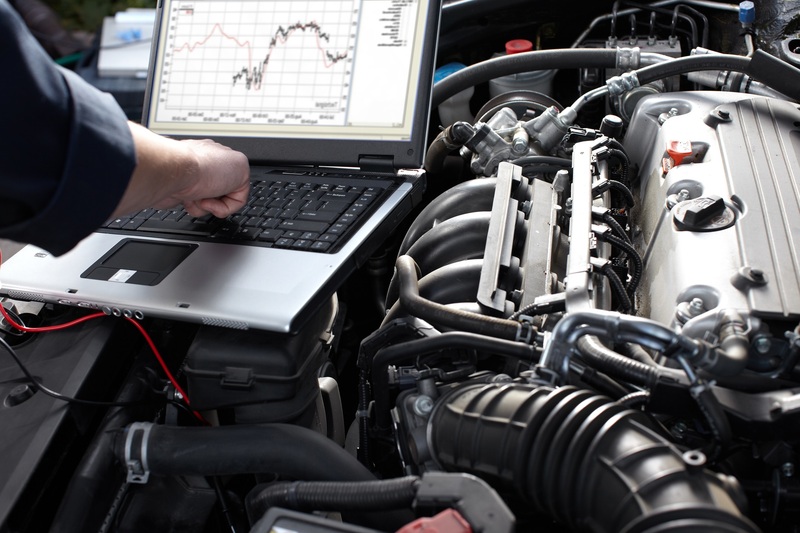 Using billions of automotive repair records, OEM service guides, and other sources of data such as diagnostics codes, the software generates correlations between problems, diagnostic information, and repairs. These generate a remarkably high (over 90%) accuracy, which drives repair efficiency by accelerating the diagnoses. This in turn drives down labor costs, and streamlines the repair processes. By their estimates, their customers have seen 20x ROI on their investment in the solution. This is extremely exciting as such a solution widely deployed across the industry – at OEMs, service shops, warranty claims, and insurance claims – can drive a huge amount of cost out of the system, which will translate into lower premiums, and lower repair costs for the end customers while increasing the profit margins, and the customer satisfaction. Similar gains could also be achieved in other heavy industry applications such as HVAC systems, locomotive repairs and other similar industrial equipment. Predii’s solution with Snap-On shows that this desired end state is not some fantastic future, but very much a reality. We, as end consumers, just need to have the industry participants prioritize investments in these solutions, which promise to take uncertainty and cost out of these expensive, but necessary machines, and services. We can all say amen to that! This entry was posted in Machine Learning and tagged machine learning, predictive analytics, Predii, repair intelligence, SnapOn. Bookmark the permalink.